Best German shepherd puppies in the world, guaraanteed - World champion Parents!!! Every year we breed few private litters for our future breeding program and to show our offspring's at the Bundessieger Zuchtscha (German shepherd specialty show) show in Germany and around the world. These puppies are bred with this goal in mind and are the most PROMISING of our BREEDING PROGRAM for this purpose. 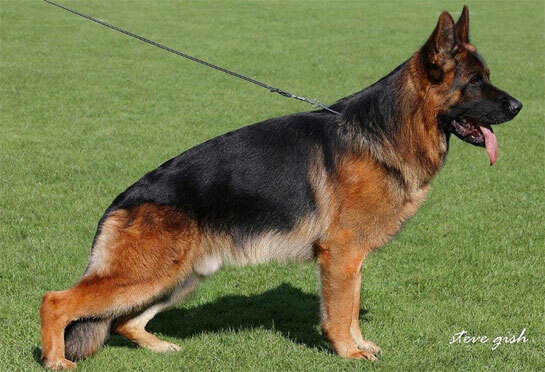 If you're interested in BREEDING AND/OR SHOWING YOUR PUPPY/DOG FOR THE SHOW RING, the liters below offer the best selection and option for this objective, the German Shepherd "Show Puppy". The "working, show" line puppies below meet all the requirements for your puppies success in the show ring in any arena, WORLDWIDE! The litters below are the "ABSOLUTE" BEST German shepherd puppies you can get in the world, for any ocaasion, including for your famliy! All of our dogs are titled in schutzhund and are rated excellent in show, with breed survey (Koerklasse I) "recommended for breeding". The breed evaluation is highly detailed analysis of the dog's structure, temperament, pedigree and both hip and elbow certification rated good and adequate performance on an endurance test (AD). 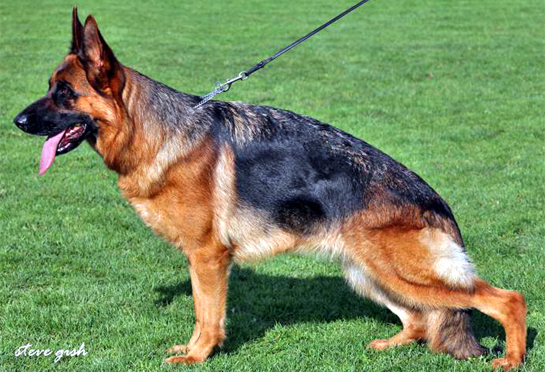 Our dogs are recommended and evaluated prior to breeding by a certified trained and recognized "expert German shepherd judge" as to the worthiness of the dog for breeding. We only breed highly trained Schutzhund dogs, this allows us to exceed the excellence of the breed at a superior level. Our puppies are guaranteed to have sound temperament with safe nature and stable nerves, highly intelligent, extreme endurance ability, powerful, strong and confident characters, sound and "healthy" pedigrees - We back it up with a service that supports our character and our integrity, a "WORRY FREE" 5 (FIVE) YEAR, Genetic health and temperament "guarantee". 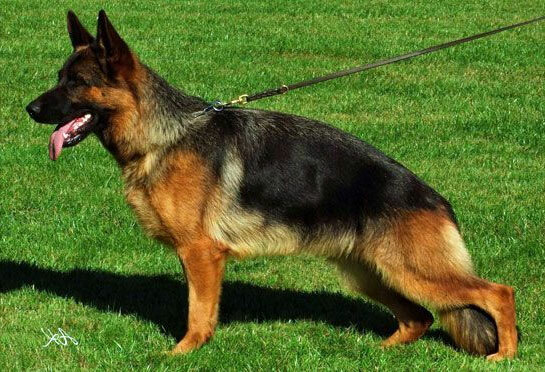 In the event that the guarantee is honored, Gunbil German Shepherds will provide another dog of the same quality, age, gender (of choice) and value for FREE. We do not ask that you return the original dog to us. Our five year guarantee is for your peace of mind, our commitment to you and your new puppy/dog. For more info, please click here. At Günbil German Shepherds, "we believe in our World Class German Shepherd Puppies", you should too! registration Germany - Deutsche Schäferhunde (SV) e.V. Ian, is the 2ND ranked in the world in 2017. 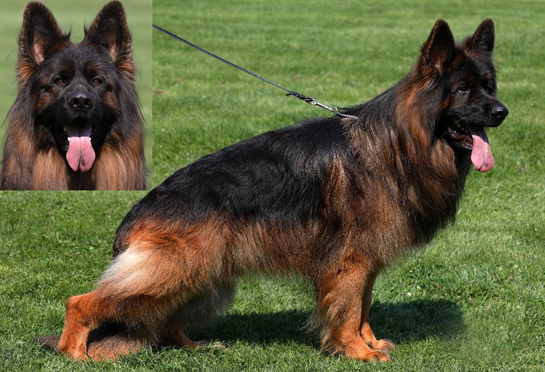 He is fully titled in Schutzhund SchH3, recommended to breed (Kkl1). Big, strong, typeful and expression is very good, strong masculine head, pronounced mask with dark eyes. Ian is the g-son of SG/VA1 Zamp vom Thermodos - Twice world champion! On his mother side, once again, his grandfather is VA1 Remo vom Fichtenschlag - Twice world champion! Excellent Select Class! Melc, is the World Champion in 2016. The daughter of TWICE world champion VA1 Ballack von der Brucknerallee! 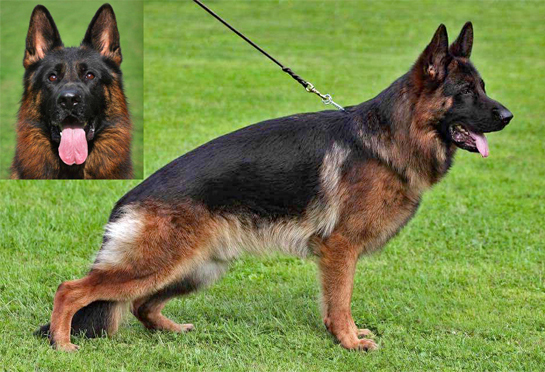 Melc, is titled in schutzhund SchH1/Kkl1, Good hips and excellent elbows. Anatomically very correct, excellent pedigree from both parents. She is absolutely clear in the head with ready to play, ready to please attitude, with an excellent natural protection ability if needed. Note: Puppy Breed Value less than 100 are most desirable. More Info Here. Gary, is "World Champion", Best in the world in Excellent Select Class, 2017. WOW!!! Fully titled in IPO3/SchH3 and is recommended to breed (Kkl1). Massive, masculine, strong, very expressive, strong and powerful "stud male", strong macho head, Dark mask! Excellent overall type, SUPERior COLOR, very healthy pedigree from both parents. Gary is the son of three times world champion SG1/V1/VA1 Omen v. Radhaus. Stable nerves, safe nature and clear in the head". Lee, is ranked 31th in the world (JKLH/2015), the daughter of twice world champion VA1/SG1 Leo von der Zenteiche. Her grandfather is Three times world champion SG1/VA1/VA1Vegas du Haut Mansard, also, the granddaughter of twice world champion SG1/VA/ Zamp vom Thermodos. Lee is titled in schutzhund SchH1/IPO1/Kkl1, fair hips, excellent elbows. Anatomically correct, very healthy pedigree,. She's absolutely clear in the head, ready to play and please attitude, excellent natural protection ability. Note: ZW Breed Value less than 100 are the most desirable. More Info Here. status 31st ranked in the world 2015! Asap, is "Twice World Champion" Best in the world! In 2016 he is the Young Class (SG Class) world champion, and in 2017, he is the world champion in the Excellent Class (V Class)! He is working on his IPO3 title (Schutzhund 3) in Germany (IPOIII/SchH3) and has completed his Breed Survey, recommended to breed (Kkl1). Big, strong, masculine, very expressive, strong and powerful, Super head, Super mask! Excellent type, SUPER COLOR, very healthy pedigree. Asap is the son of 13 ranked in the world V13 Fight vom Holtkamper Hof. The grandson of twice world champion VA1/Remo vom Fichtenschlag! Clear in the head, safe nature and stable nerves! Jojo, is ranked 40th in the world (JKLH/2015), the daughter of TWICE WORLD CHAMPION VA1/SG1 Leo von der Zenteiche. Her grand-father is TWICE WORLD CHAMPION VA1 Remo vom Fichtenschlag. 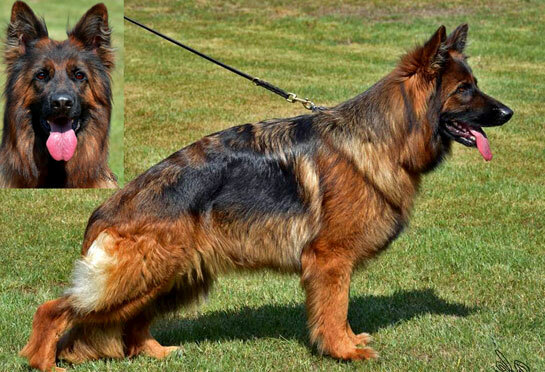 Jojo is titled in schutzhund SchH1/IPO1/Kkl1, excellent hips and elbows. Anatomically very correct, excellent pedigree from both parents. She is absolutely clear in the head with ready to play, ready to please attitude, with an excellent natural protection ability if needed. status Champion in class - GErmany 2015!